Our site Unload Your Gold has the knack of collecting age-old and unwanted sterling silver jewelry from both overseas and domestic customers. These unwanted sterling silver jewelries do become useless after certain period of time and becomes a liability on your shoulder. These items do no good and just submerged in the layer of dust in your jewelry box. So if you want such useless items to become an easy money making asset just logged on to our site and we shall forward you with essential guidelines as soon as possible. There is no use of attaching sentiments with these age old items but rather sell them to our site. We are guaranteeing you to pay the exact amount of such items after evaluating its present value in the international market. If you encounter any sterling jewelry items like sterling silver fork, spoon, flatware, dishes, trays, napkin rings, match safes and so on just immediately deliver them at our designated address. Whether these items are bended, twisted, damaged or broken we are prepared to accept items irrespective of their conditions as early as possible. At Unload Your Gold our experts are capable of easily exacting the actual market values of such items after conducting proper diagnosis. If you try to sell these sterling stuffs to any dealer he will pay you lesser cash amounts than the actual market value. We are providing you the easiest way of earning immediate money via exchanging these age old jewelries. For necessary information you can contact in our mail address and we will provide you with satisfactory answers of your questions. On receiving any sterling jewelry item our experts shall assess the quantity of silver with other metals present in such jewelry. The more the concentration of silver greater will be your cash amounts. 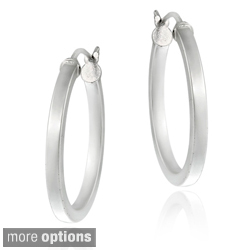 You can sell both marked and unmarked sterling silver jewelry. Rare or scarce sterling silver jewelries of various historical periods are also included in our purchasing lists. While selling such items just go through the prices that we have displayed in our site so that there is no scope of any doubt in your mind. But if the objects turn out to be fake you will miss your payment. Our site directly deals with the owner of such items and so do not engage with us through third party agents. In that case we will terminate our business with you. We regularly inspect the rise and fall of the prices of such objects in international market for paying you accordingly. Hence it leaves no space for any allegations on your part and so it allows us to continue our business freely with our clients. While delivering these items, just mention your contact address and number so that we can contact in case of obtaining additional information about these items. You can trust us and for that you are free to view our successful track records from various sources especially from the customers that we have served successfully.